This is the famous UM lake, where ppl come to jog everyday! After a very long time, I put my sport shoes back on and go for a jog. It has been a while I jog like this, 30 minutes non stop. Thinking back, during secondary school time, was my climax time. I can jog 10-20 laps on the field. After learning to swim, I rarely jog. Jogging is different from swimming. What I love about jogging is the feeling of the sweat after jogging. 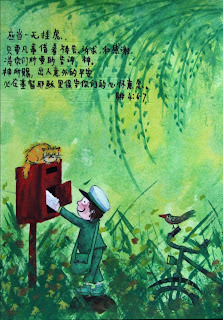 （汗流浃背的感觉）. Maybe is because of the stress, eating out, no exercise, hypothyroid (seriously wanna get a T4/TSH done!)? or the retinoid? I think the eating and sedentary lifestyle are the 2 most important contributing factors! It is about time to re-start my old hobby-jogging. Lose weight! I can't accept that ppl keep telling me I am fatter! come on, FAT is the last word I wanna hear to describe ME! I have been thin since I have memory okay? !I will not let this go on!Got to stop it! hey.. last time when u in Klang also got ppl say u Fat d wo.. this time is not the first le gua... btw.. how much u can put on? can't imagine wo.. I cant imagine either. hey, heard u going to spore to do MO liao wor. all the best. go earn singapore dollar!